California offers unparalleled Business Advantages to companies seeking the optimal business location. Our critical mass of business services, intellectual capital, financial acumen, transportation systems and market access enhance the corporate mission and make California the most efficient place to do business in the world. 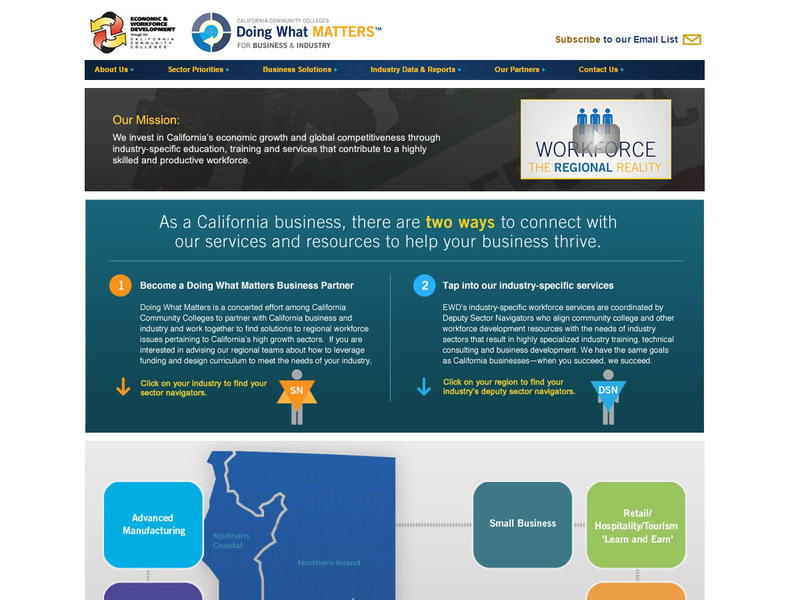 California is uniquely positioned to connect employers to workforce development services through California’s Labor & Workforce Development Agency and the Business, Transportation and Housing Agency. These Agencies offer businesses site selection, employment, education, training, and loan assistance provided through local, state, and federal programs. Other services include focused recruitment, labor market information and Internet-based job listing service. In addition, California offers an array of Investment Incentives to assist companies and investors interested in employing Californians. CalBIS provides no-fee site selection services to employers, corporate real estate executives, and site location consultants who are considering California for new business investment and expansion. As part of the site selection service, CalBIS analyzes the factors affecting a company’s investment decision including taxes, human resources, training and workforce development, incentives, financing, utilities, permits, and specific real estate opportunities available in the state. CalBIS staff utilizes its statewide network of local economic development officials to recommend and make introduction to specific communities that meet its clients’ needs. Additionally, CalBIS can serve as a company’s liaison to California’s regulatory agencies and local governments throughout the state. ETP assists businesses in acquiring and retraining a highly skilled work force with expertise in very specific fields in order to increase competitiveness and productivity. ETP will enter into a performance-based customized training contract, for new or existing employees performed by either an approved training agency or the company itself. As the training is completed, the costs for developing, implementing, and completing the training are reimbursed. Ranging from about $1,500 to $2,000 per employee, reimbursements are made to the company for each employee that completes training and remains on the job for 90 days. 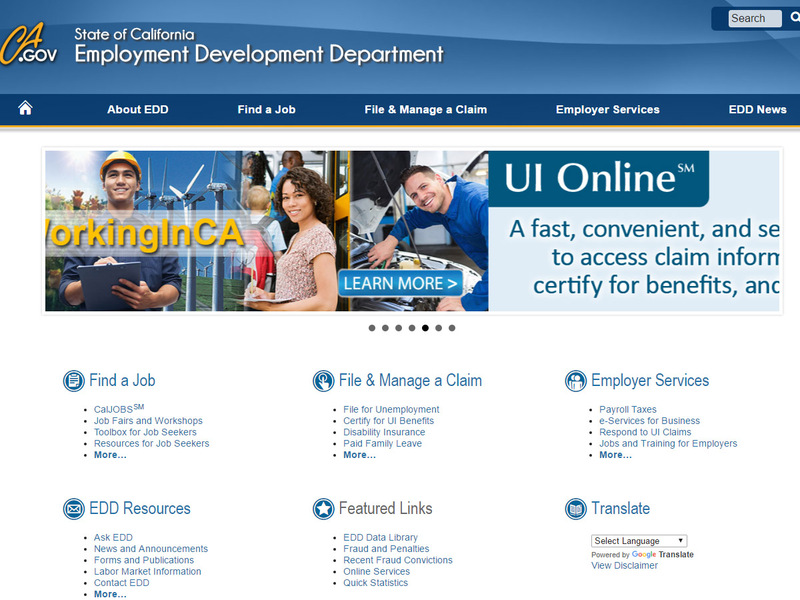 EDD offers a wide variety of services assisting California employers in meeting their labor under the Job Service, Unemployment Insurance, Disability Insurance, Workforce Investment, and Labor Market Information programs. 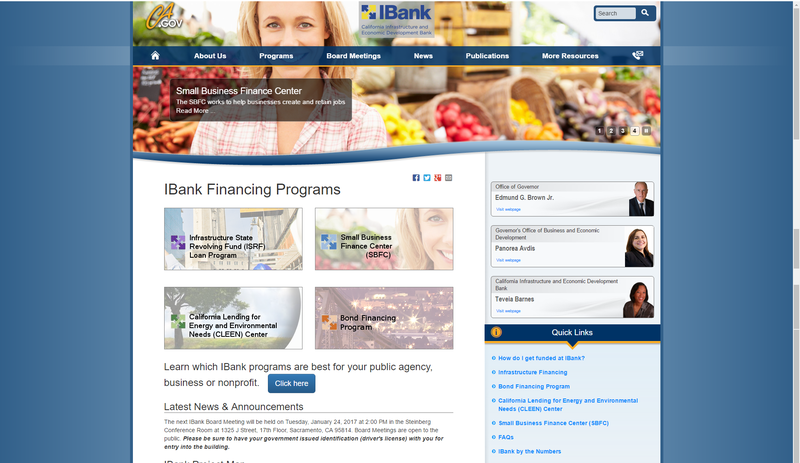 The California I-Bank is a state financing authority that provides low-cost financing to public agencies, manufacturing companies, nonprofit organizations and other entities eligible for tax-exempt financing. 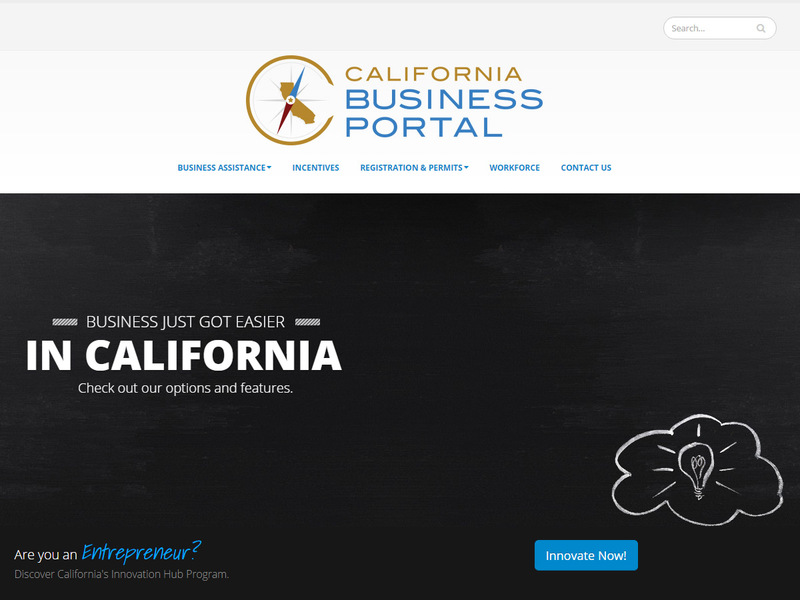 The California Business Portal provides a portal to a number of resources for starting, growing, financing, expanding or relocating a business in California for both domestic and foreign companies. Economic and Workforce Development (EWD) through the California Community Colleges provides a variety of solutions for business development and workforce training needs. 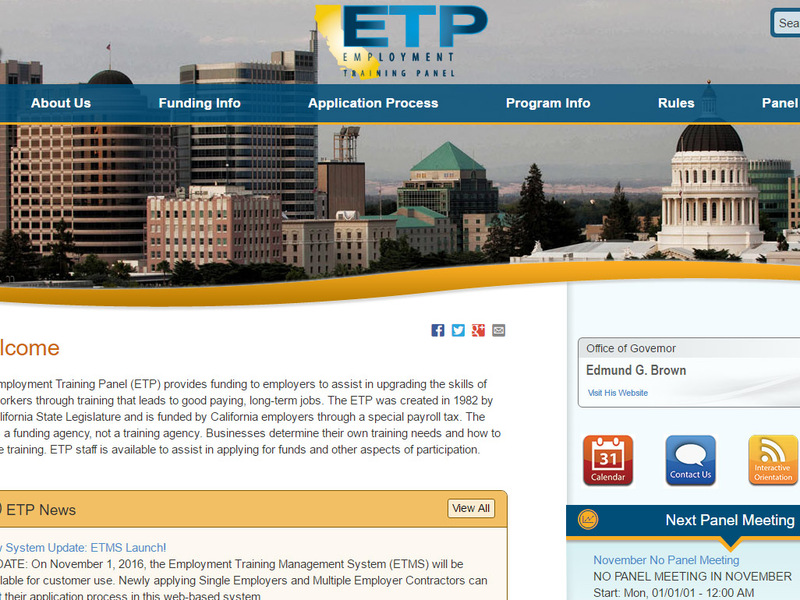 The EWD program strengthen on-the-job performance and business competitiveness, making California’s economy stronger. The program delivers services ranging from basic jobsite skills to advanced technical training. Industry-specific services include worksite training and education in Advanced Transportation Technology, Biotechnologies, Workforce Basic Skills, Business Performance Improvement, Health Care, Digital Media, Environmental Technologies, Advanced Manufacturing, International Trade and Small Business Development. 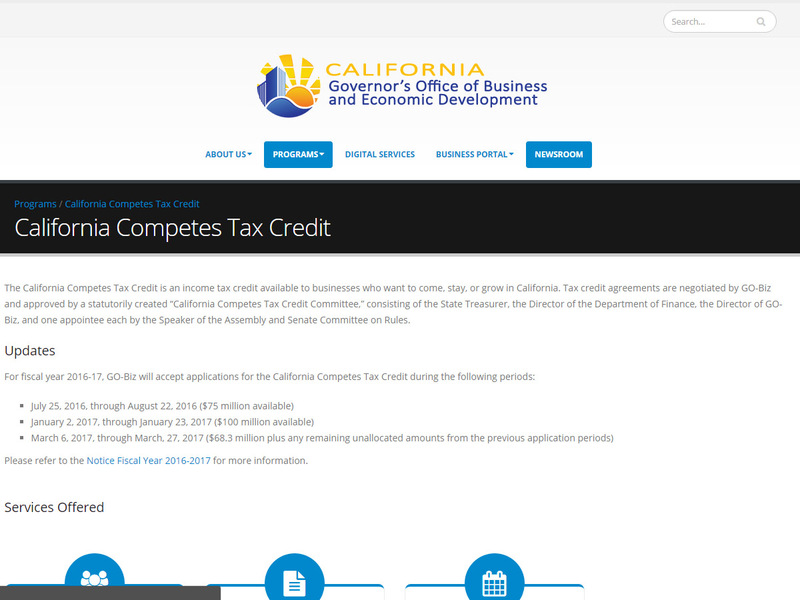 California offers an income tax credit to businesses wanting to come, stay, or grow in California. 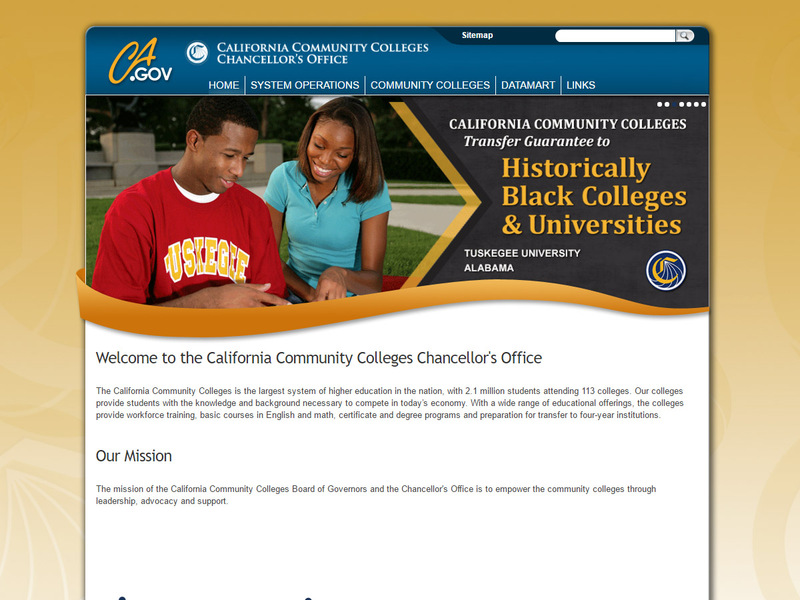 California empowers community colleges through leadership, advocacy, and support. California has embarked on an efficient and direct permit expediting service at the state and local levels. 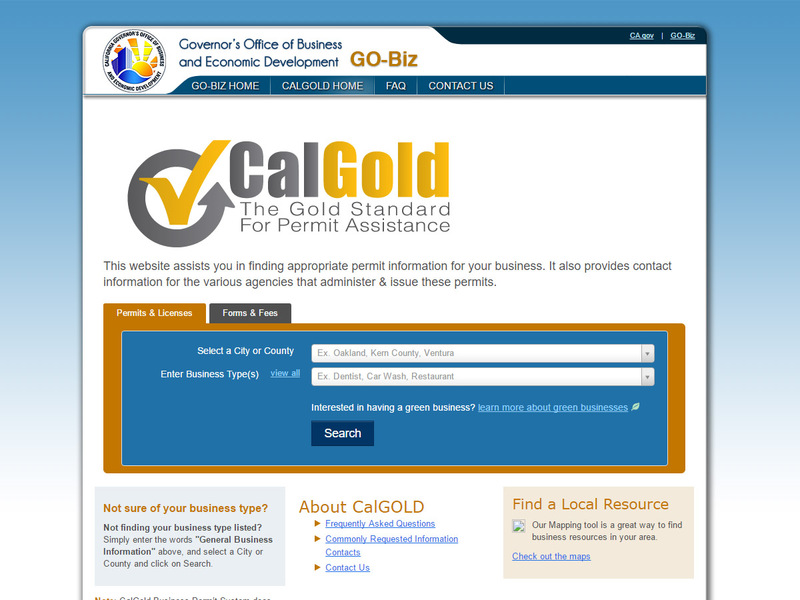 Assistance with regulatory issues happens at both the site location through local economic development officials and state level through the California Gold Program. 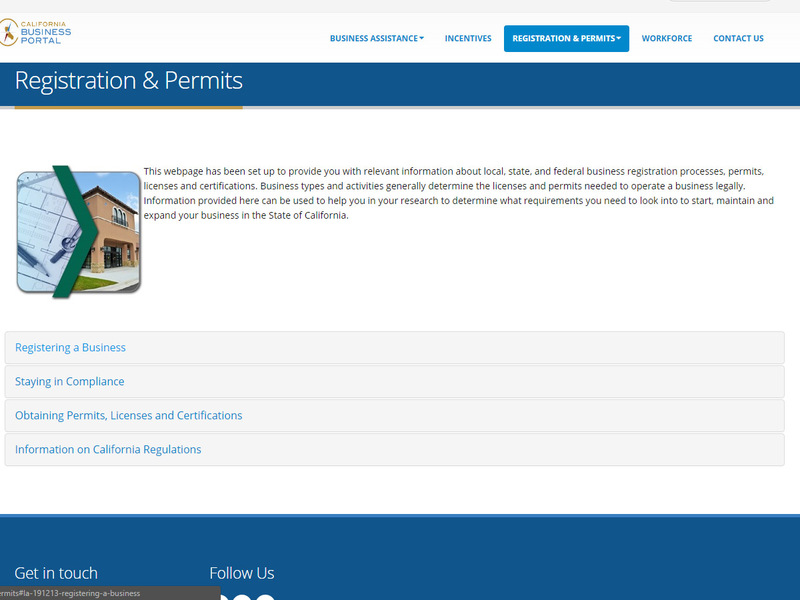 Find assistance with California registrations, permits, licenses, and certifications at the California Business Portal. 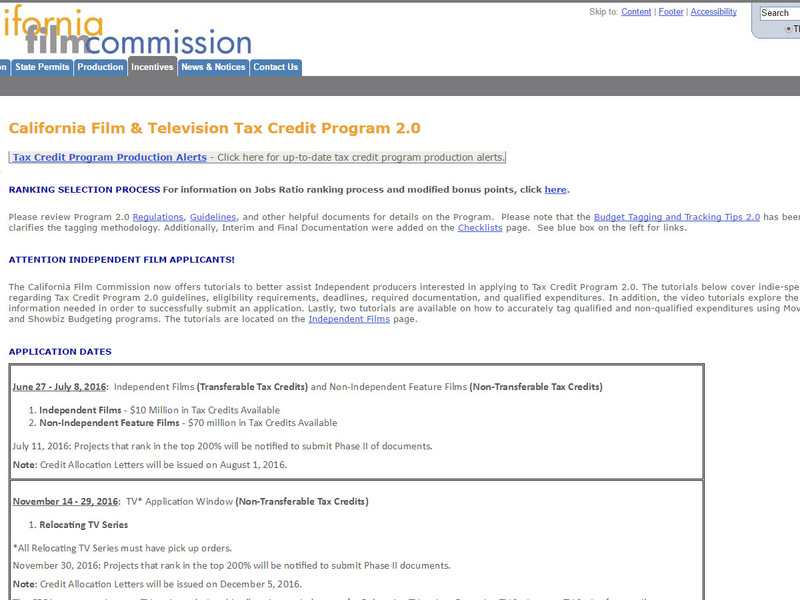 The California Film Commission offers generous film credits to qualified independent and non-independent producers in California. 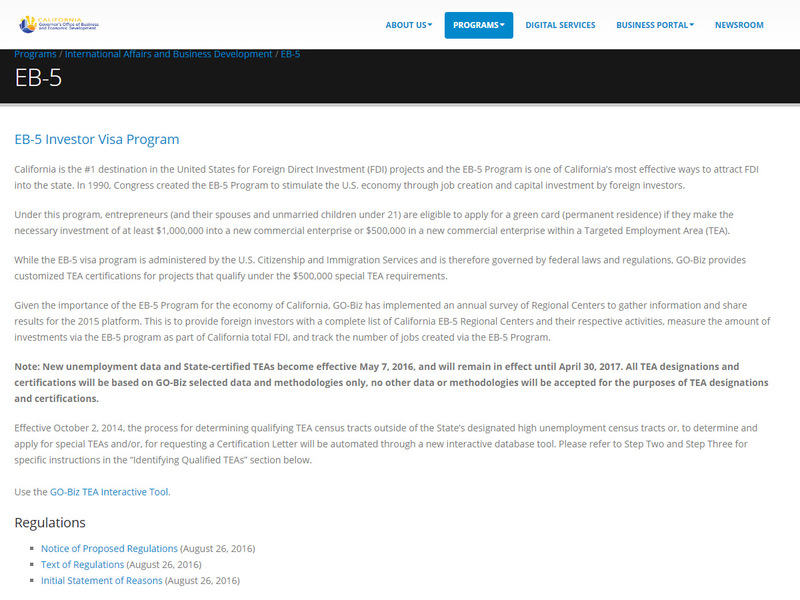 California collaborates with the EB-5 Program through the U.S. Citizenship and Immigration Services to attract foreign investments and stimulate the United States economy. 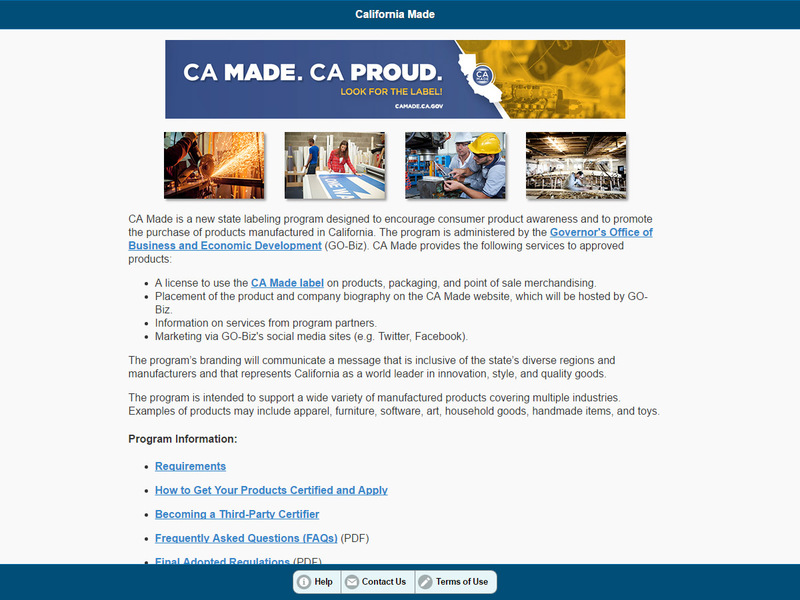 California Made is a state program offering “CA Made” labeling, packaging, merchandising, promotion, and marketing to businesses that manufacture products in California. 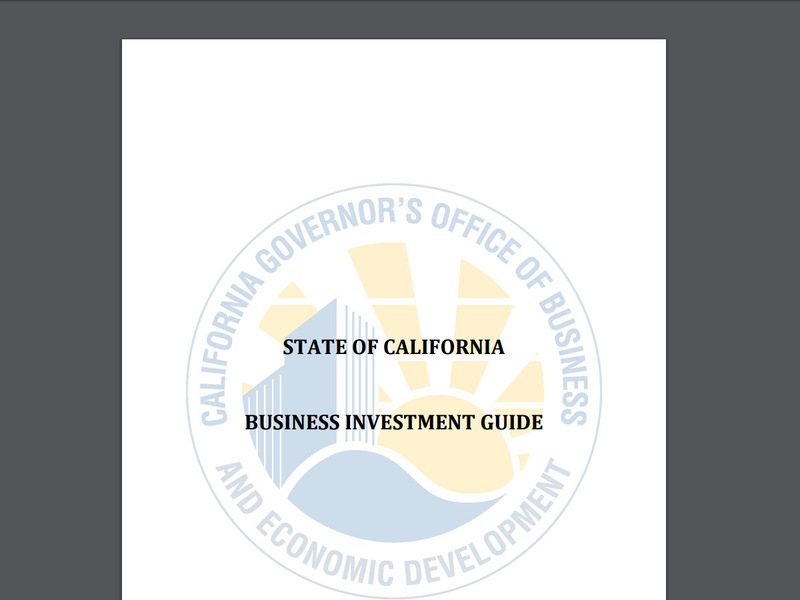 This guide from the California Governor’s Office of Business and Economic Development (also referred to as GO-Biz) lists all the state-sponsored incentives and assistance programs that are available to California businesses.